Today is my final night at Jeju do. I feel sad because my greedy me wish for more times here. Many places I haven't visit eg. my dreams to climb Mt Hallasan. Anyway, I thankful for God to allow me to reach here. I had this at my favourite Ajumma's Restaurant at Chilsimni Food Street at Seowigpo,Jeju do. That Ajumma was super generous to me too. 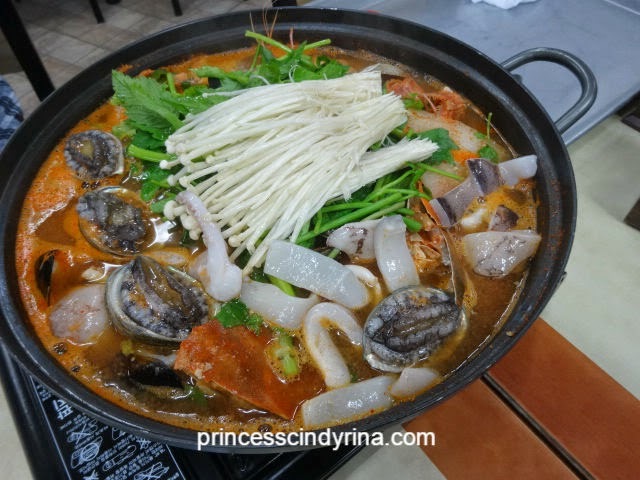 Final dinner at Jeju do, I ordered this Spicy Seafood Hot Pot aka Haemul-Jeongol.So many fresh seafood and fresh vegetables in here. The soup was super delicious because the various ingredients combines into this one pot. Do you drooling see this hot pot? What is in this hot pot? Abalone, Octopus, Sea Cucumber, Sea Squirt, Crabs, Prawn, Clams, Enoki Mushrooms and other vegetables. Ajumma's banchan really don't let me down. 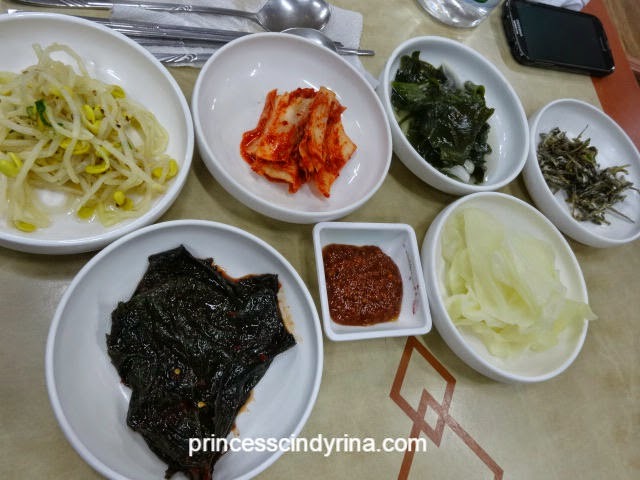 Especially her seasoned sesame leaf side dishes and that anchovies. Her sauce which goes with that white cabbage really DAEBAK!!!! 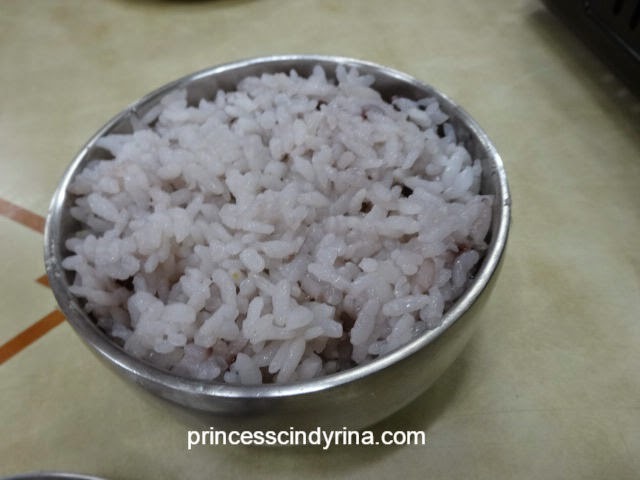 At least she use this delicious sticky purple rice and not the normal white rice. Back home I use to eat brown rice, so it is a bit difficult for me to accept white rice. kekekeke...so snobbish! 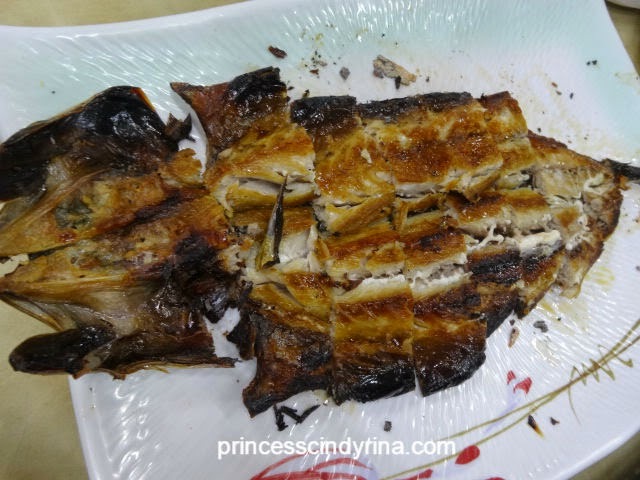 The grilled mackerel that I never forget. Love the taste and the crunchiness. You eat it from the meat to the bones and to the tail and head. Another must try in Jeju is this Sea urchin seaweed soup aka Seongge Miyeok-guk. The yellow colour in the soup bowl is sea urchin. 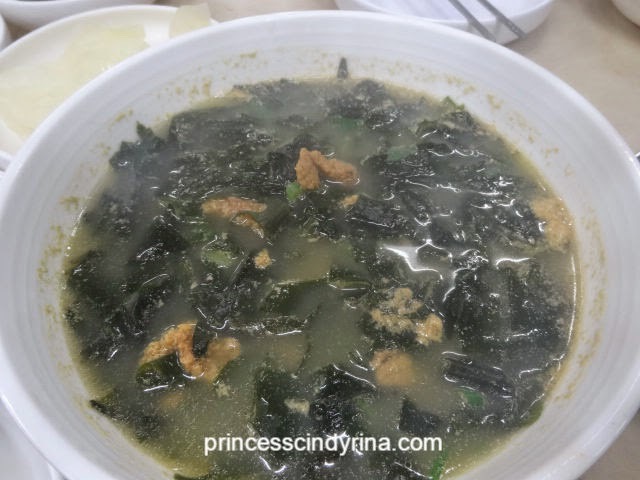 Sea urchin and seaweed soup is rich in protein, iron and low in calories. The taste a bit bland but acceptable to drink it hot. Especially after whole day touring the Island. On the first night at Jeju, I wanted to eat this famous Jeju Mandarin Orange but mostly sells in bulk like many oranges in one buy. I can't finish it all if I buy it. I wish for kind heart Ajumma to offer me with Jeju Mandarin Orange. I don't want many. Just one is enough to taste. That night while having my hot pot dinner, I saw one car stop in front of restaurant. One Ajuma came out from the car then brought in big basket of Jeju Orange. WTH! In my heart praying heart for my favourite Ajuma to offer me one orange for dessert. hehehehehe...you see the photo. Ajuma walk to me with a tray of Jeju Orange and offer me 5 Jeju Orange for FREE. She said , its ok no need to pay. I let you try. hahahaha yeah I can understand her clearly although she was talking in Korean to me. Wheeeeeee!!!!! my heart screaming happily! My wish came true at Jeju do. Not sweet or sour like the normal mandarin orange we ate during CNY. 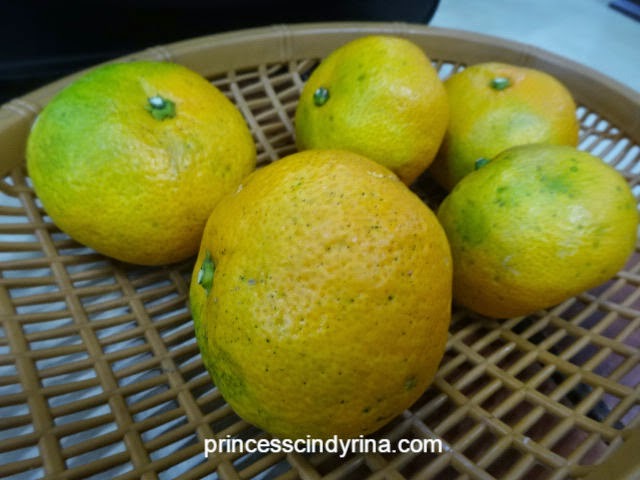 I think this one is perfect to make citrus tea. 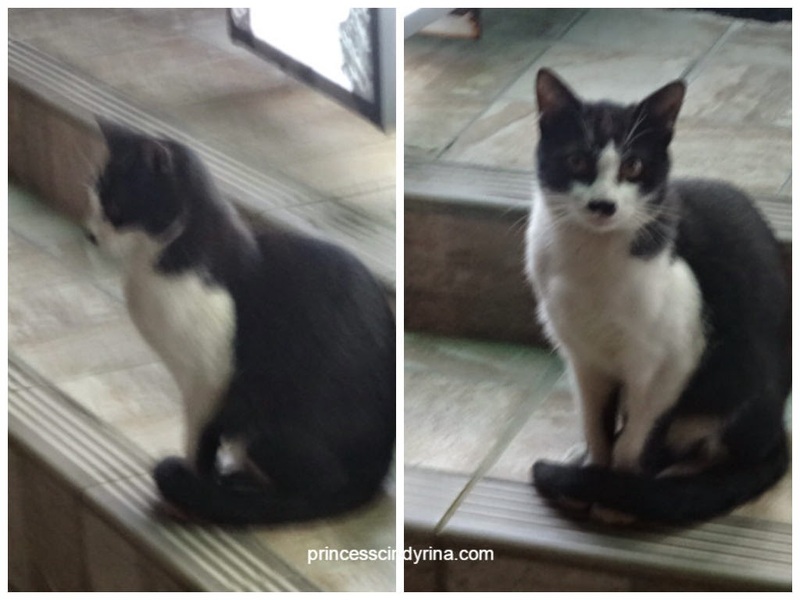 After my stomach full, I walked outside and trying to tease this Jeju cat. But this cat...too corky and snobbish cat I ever met! See see ..that fella don't bother me and then just give that one confident look straight to my camera. The end of my Jeju post and tomorrow I will fly back to Busan for another 2 nights before flying back to Malaysia. This time I will be staying near Gwangalli Beach at Busan. Seaside view...everyone!